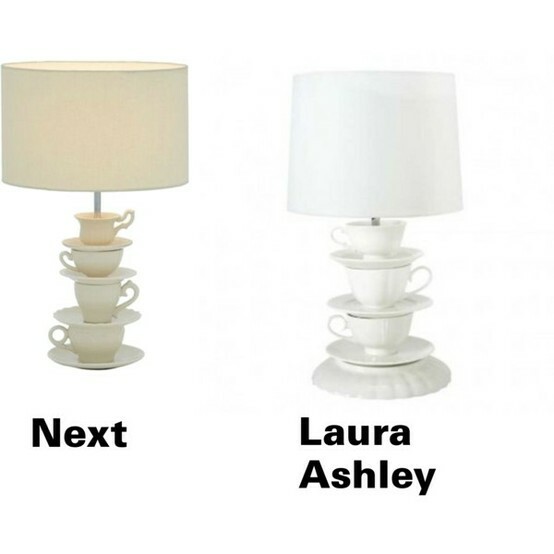 When I was little Laura Ashley was the height of decorating sophistication. I will point out that I grew up in the eighties when chintz was big. Then came Ikea and their minimalist “chuck out your chintz” approach and Laura Ashley was very definitely passé. I still don’t entirely know how they survived those years. But then came along “shabby chic” and Laura Ashley found a new generation of devotees. When I looked through their website I knew I was in trouble. 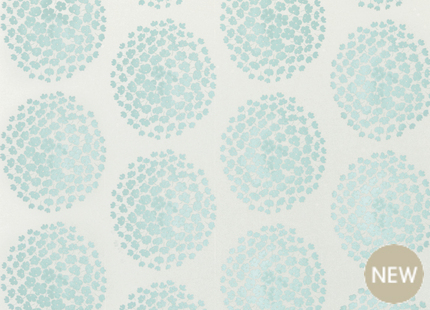 Or rather, my bank balance was in trouble… I’ve written about one of their wallpapers before and there are many more that I would love to have on my walls if only my flat was bigger. But for me it’s the accessories that really hit the mark. As I said, the teacup lamp really hit a chord with a lot of magazine editors and was one of those items that seemed to be everywhere. And I see why. It is very shabby chic. 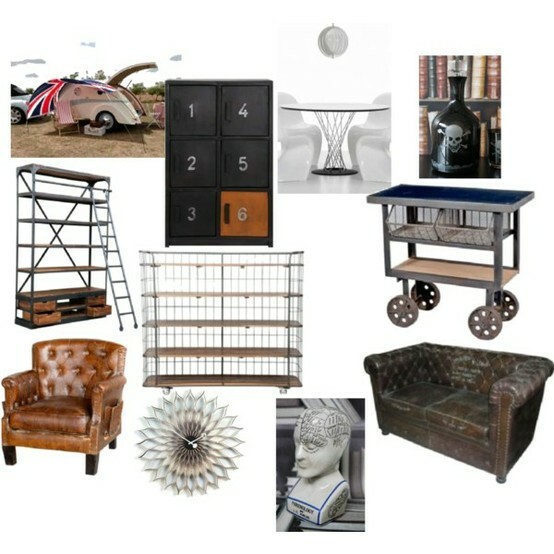 It ties in very well to the current trend of vintage styling and making over items to change their purpose. And whilst Laura Ashley no longer sells it, there are a number of other versions. Next have a version in their current catalogue and for the crafty ones among you, there is even a tutorial on how to make on on The Thriftress blog. This would also allow you to use patterned teacups or different colours to suit your decor. There are so many other little gems dotted around the Laura Ashley website. 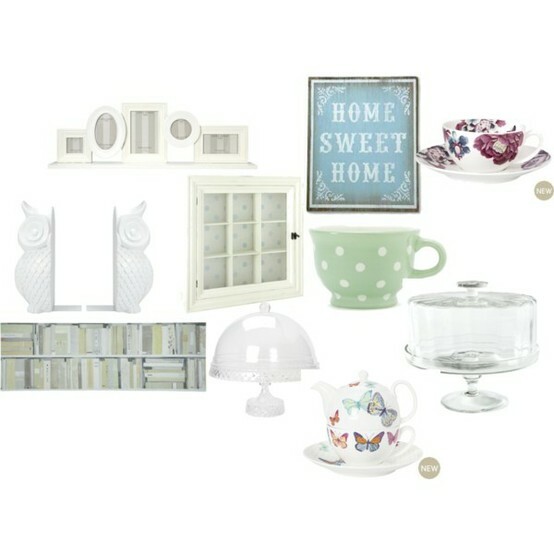 Just in terms of accessories, there is a gorgeous set of owl bookends which would go brilliantly in my study. I love both the All A Flutter and Elvedon tea cups and the tea for one sets and with my tea addiction there is no such thing as having too many tea cups or teapots! The white multi-frame photo frame, designed to go on a mantelpiece, would look amazing anywhere, be it mantelpiece or shelf and I already have it earmarked for at least one friend’s birthday present. The furniture is equally gorgeous and, whilst most of it is in the shabby chic style, there are some more modern gems in there such as the orange sofa below and the dark wood desk. Overall, I am having a bit of a love affair with Laura Ashley and there are another 2 reasons why, as if I needed any more. Firstly, they have 25% off everything on their site. Unfortunately that ends tomorrow (Sunday) night. Secondly they have a competition on their facebook page to win your dream upholstered chair. Considering it costs nothing to enter, why not give it a go? So go on, take a look at Laura Ashley. I guarantee you’ll find something. Let me know your favourite piece in the comments section below. I should be banned from the internet. No, really, there needs to be a block on my computer that stops me from going to any website that has a function where I can BUY anything. Anything at all. I am that broke and the wonderful thing about the internet is, unlike the current state of the high street, you can find lots and lots of little independent shops that sell all sorts of WONDERFUL things. Case in point: Rockett St George. I’ve been aware of this site for a very long time, I think I heard of them not long after they opened four and a half years ago. One of the reasons they were mentioned in a lot of magazines is that they were one of the first people to stock wall stickers. Whilst now wall stickers are stocked here, there and everywhere, there was a time when they were actually quite scarce. Rockett St George still stock wall stickers although I will confess that I far prefer their wallpaper range. Selected from a number of small independent designers, the designs are different and quirky and some of them are worlds away from what you normally think of as “wallpaper”. Personally I love the Barneby Gates All Star wallpaper in gun metal and almost all of the Engineer Collection. The Engineer Collection papers come in a selection of patterns so you can put corrugated iron, wood panelling or even an entire library on your walls without sacrificing any space. Their lighting collection is also rather amazing as there is something for everyone. For the girly girl there is a fabulous feathered shade for a ceiling pendant, ideal for a teenage girl, or the teenage girl in all of us! For the boys, there is a chandelier that any man can be proud of. It’s made of beer bottles. Alas, they’re empty so you don’t get a ready supply of beer but it will certainly give you a talking point. 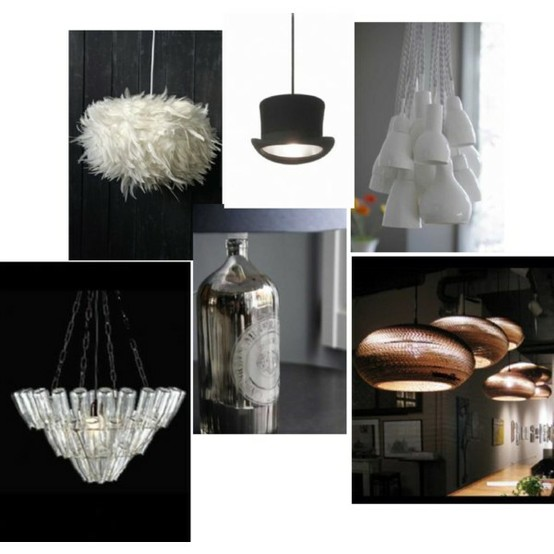 And if you just love all things a bit quirky there is a range of lights made out of bowler and top hats, lined in either silver or gold metal to reflect the light. Call it an ironic way to light up a dressing room! And how can you not love a website that offers the tiniest, prettiest caravan in the history of the world for sale? All in all, Rockett St George is achingly cool and whilst unfortunately the prices do reflect that a bit, there is something there for everyone. So go on, have a look. I defy you not to find at least one thing to put on the wishlist! What’s your favourite Rockett St George item? Please let me know, I’m addicted! 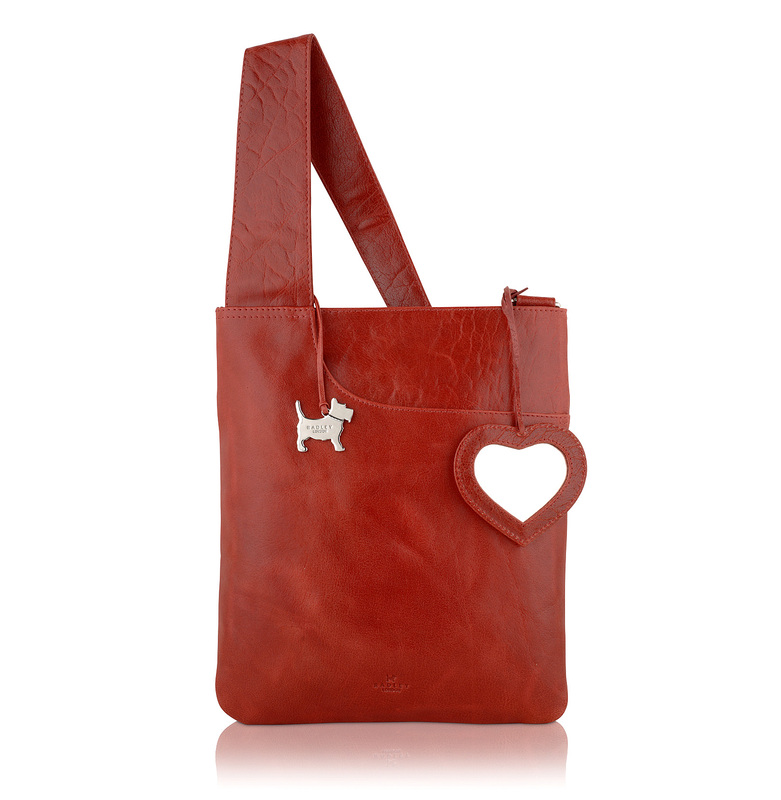 As I wrote yesterday, I am a big Radley fan. Their classic bags are well made and elegant and will last a lifetime. What I didn’t realise until yesterday when researching my post was they had a blog. Being the fan, and all round nosy parker, that I am I subscribed to the blog and received an update this morning. What I didn’t realise was that Radley, in partnership with Laura Bailey, their first brand ambassador, are supporting the British Heart Foundation by releasing a limited edition version of their cross body bag with a heart tag mirror. The mirror is also available separately and profits from both items will be donated to the British Heart Foundation. What is unusual for such a donation is that Radley have specified the actual profit they will donate from each item, being £14.85 from each bag sold and £2.85 from each mirror. In percentage terms this equates to 15% of the cost of each bag, so a significant amount, unlike the 10p or similar donated from the sale of each pack of charity Christmas cards. The bag itself is simple enough that it would go with everything, and being cross body, it leaves your hands free to do other things, be that carry your shopping, a cup of coffee or push a pram. And the attached mirror is always useful for quick touch ups of lipstick, or just to check you haven’t got spinach stuck in your teeth. The bag and mirror are available from www.radley.co.uk and are priced £99 and £19 respectively. Some people are shoe people. I know the way to my best friend’s heart is through a pair of Christian Louboutin’s for example. And whilst I love shoes, I find spending masses of money on them quite difficult. I don’t mind spending a significant sum of money of a pair of shoes which, with a bit of TLC, will last for several years without going out of fashion. but the problem is even with the best will in the world, no pair of shoes will last forever. But a handbag, a handbag could very easily last you the rest of your life. Granted, they need a bit of TLC, protector spray and keeping relatively dry, but if it’s well made they should last a really long time. So whilst shoes are the way to some girls’ hearts, bags are definitely the way to mine. That’s not to say that just because you can’t afford Mulberry you are limited to a life of crap handbags. 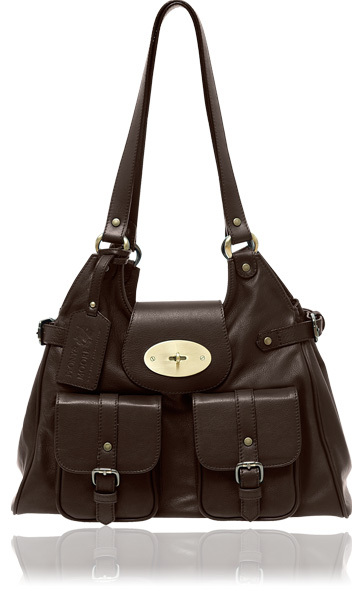 There are a number of brands out there who make much more reasonably priced but still high quality bags. I am currently toting about a Ted Baker bag from about two years ago which has the most gorgeous soft leather (a random requirement of mine, bags should feel nice!) in a dark purple-y blue. I also have a nice selection (I’m up to three at the moment) of Radley handbags. Radley is a company whose bags I love. They do sometimes go a bit overboard on the details but their more classic bags are wonderful. All of mine have been either Christmas or birthday presents although I am considering investing in another. My current favourite is modelled by Laura Bailey in one of their new adverts although I do confess I would buy it in my favourite purple rather than the cream advertised. If not Radley then one option I have discovered recently is another British company (I like supporting British industry) called Peony and Moore. One of Deborah Meaden’s Business Accelerators finalists and shortlisted for a Bath Life New Business Award 2012, this is a really up and coming company making classic but not old-fahsioned leather bags. There are two in particular, the Gilly and Lucia on my hit list and would be great additions to anyone’s handbag collection. So if the way to a man’s heart is through his stomach then the way to a woman’s definitely seems to be through her accessories! Are you a bag or a shoe person? And what is your limit when shopping for these items? PS. If you buy Easy Living magazine at a bargainous £2 this month (normal price £3.70) there is a code to get 20% off when shopping at www.radley.co.uk so go buy it!! Every now and again you see something that just appeals to you. In my case I saw this on Pinterest earlier and it has gone on my “things I would love to buy”. It sums up everything I believe should be true in the world and what I would love to do on a daily basis. Granted it would mean buying an iPad to put in it but to be honest, it’s almost worth the expense just to have this fabulous case to put it in! 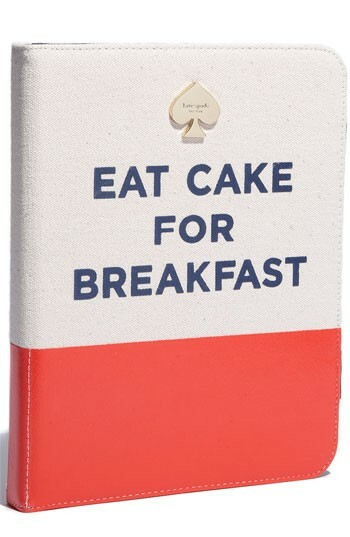 Anyway, as a cake addict I just thought I would share this little gem with you. Whilst I can’t find it available to buy in the UK, Kate Spade has opened a shop in London so you might be able to find it there. Or you could just say sod it and order it from Nordstrom who, very kindly, not only offer international shipping but also calculate the VAT and duties payable. Every now and again, life gives you a really nice surprise. For me, life managed this feat on Friday when I was feeling pretty low so news that I’d won something was just what I needed to pick my mood up from somewhere near rock bottom. The competition I’d won was The Beauty Shortlist’s 7 days of beauty, which closed on Valentine’s day (less said about that date the better) and I’d won the first day’s prize, a candle from Jonathan Ward London in their most romantic of fragrances, Josephine’s Rose. If I was going to try one of their candles, this is the one I would have bought, being an avid rose fan, frequently wearing Jo Malone’s Red Roses perfume, using Ren’s Moroccan Rose Otto bath oil and body scrub, so I was especially thrilled when I won. The candle duly arrived the next day and from the moment I opened the parcel, I knew I was in for a treat. Scented candles can sometimes be insufficiently scented to actually fragrance a room when burnt but this would never be a problem with this candle; it scents the room when unlit, the fragrance is so powerful. The wax is made from organic soy and beeswax and so burns very cleanly with no black smoke and despite the fact that the candle isn’t larger than most of the glass housed candles on the market, it has two wicks to help ensure that all of the wax is burnt and you don’t end up with that annoying rim around the edge which just gets wasted once the candle burns down. The glass the candle is housed in is hand blown Italian crystal glass and from the box to the care label on the bottom of the candle itself, everything is beautifully presented. And as for the scent, oh my word, it is amazing! A blend of four different roses plus cassis, it is an intensely heady scent which is able to fragrance most of the house, let alone a single room. If you read Jonathan’s blog, you can see how someone can develop such intensely powerful fragrances. For so many companies, scented candles are an “add-on” product to enhance a range but whilst Jonathan is developing a range of fragrance diffusers, the candles are clearly the main event. His fragrances are developed in a similar way to perfumes, with top, middle and base notes, and if you read the issues he has had getting the diffusers exactly how he wants them, you know that hours of love, care and attention have been poured into every single one of his candles. So I would like to say a massive thank you to Beauty Shortlist, Jonathan Ward and Wizard PR as I am loving my candle and am looking forward to trying some of the other fragrances soon. As I have mentioned before, I am moving back to my lovely little two bedroom flat after an extended stay with my parents (three years… rather too extended). And as I have been away for so long, and when I was there I was rather losing my marbles, I’m embarking on a project. I’m redecorating my whole flat. This project is going to take me a while as when there’s only one of you there is a limit as to how much you can get done in a weekend and also, I can’t quite afford to do the whole lot all in one go! So month by month I’m going to do bits and pieces and you will be able to see how it is going. 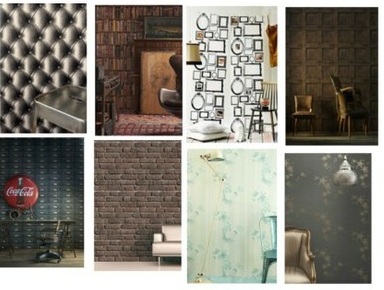 One of the most fun bits about redcorating is the hours you can spend, poring over paint charts and wallpaper samples. There is so much out there from the weird (do you want holographic pin up girls greeting you first thing in the morning?) to the fun and the frankly rather fabulous. I often think I should be locked in a padded room and with this wallpaper I can be, what more do you want?! 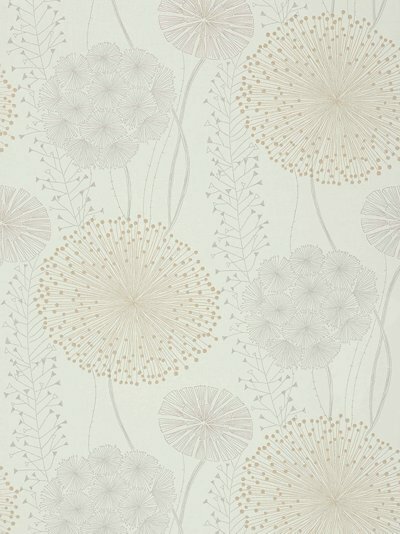 But I will confess to falling in love with a Farrow and Ball wallpaper called Lotus but unfortunately as F&B print to order, they have a minimum order quantity of 3 rolls of paper. As I think I’m only going to need one roll and this paper does cost a whopping £88 per roll, I might have to give it a pass on this occasion! So in its place I have managed to find a couple of other wallpapers which I do love but are slightly less ruinously expensive! 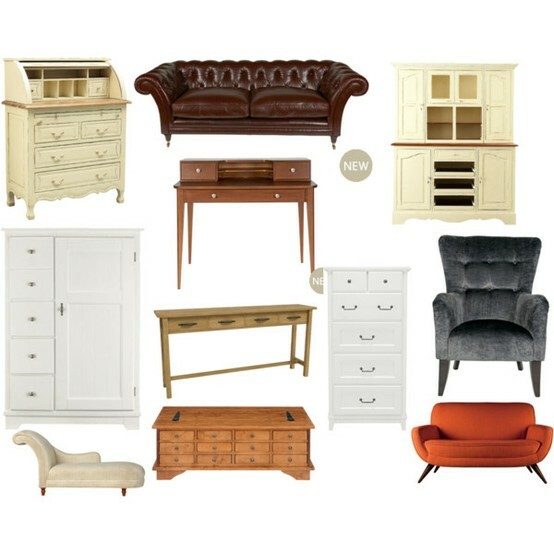 None of them are from anywhere exciting (Laura Ashley and John Lewis) but they go with the furniture and curtains and would do just enough to perk up my office. There is the small issue that I will need to learn to hang wallpaper in order to do this but hey, how hard can it be?! I’m really looking forward to my redecorating as it will give me a chance to turn a place where I was so miserable into somewhere I love living as well as giving me back the independence I have lacked for so long. So, which wallpaper do you prefer? Or have you seen any others I might like? I’m open to suggestions!